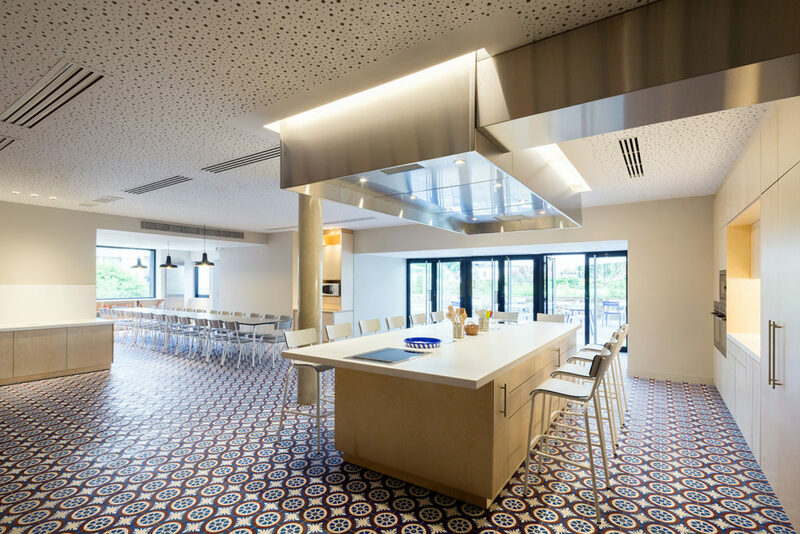 A wonderful kitchen is now opened to the groups (schools, firms, associations, families) to introduce them to the preparation and degustation of original recipes based on Bel products. Adjusted to the new concept of The House of the Laughing Cow, this creative space is a mediation tool to go with the new nutritional initiatives of the Bel Group, to experience tastes, senses and the most original cooking initiatives. Like an incubator, this place welcomes the creative initiative and process led by chefs, artists and designers in residence. It supports every initiative from startups which are thinking about tomorrow food. This space invites the residents to extend their researches in the kitchen workshop and to work from local products and know-hows. The House of the Laughing Cow kitchen workshop wants to be an exchange and dialogue,a transfer and a creation hub, between Bel Group collaborators, artists or designers, gastronome craftsmen and inhabitants in a will of intergenerational transmission.